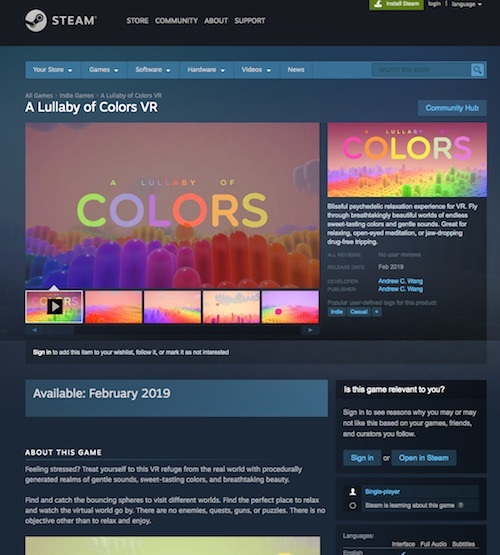 A Lullaby of Colors VR is coming soon to Steam in late February 2019! Please wishlist the game here, even if you don't have VR. After the Steam release, owners of the Itch version will be able to request a free Steam key for the game, so please stay tuned!